With an attention to the municipal legal market, Chou-il concentrates his practice on all matters involving litigation and municipal representation. Having worked for multiple Indiana counties, cities and towns in a variety of positions before joining Taft, including serving 8 years as Corporation Counsel for the City of Terre Haute, he understands the practical challenges faced by all branches of municipal government and the attorneys who represent them. In addition to the everyday responsibilities facing municipal corporate counsel, Chou-il has extensive experience with Hatch Act application, law enforcement discipline, collective bargaining agreements, and eminent domain proceedings. He has also issued opinions tied to Municipal Bonds, Bond Anticipation Notes, and Tax Anticipation Warrants. Chou-il is listed in The Bond Buyer’s Municipal Market Place (the “Redbook”). Outside of the municipal market, Chou-il is an experienced litigator. He served as a Trial Deputy Prosecutor for both Vigo and Clay County and has extensive jury trial experience. His trial experience extends beyond criminal prosecution to include criminal defense, patent litigation, and representation of large corporate clients in the courtroom, as well as the various municipal matters that result in litigation. 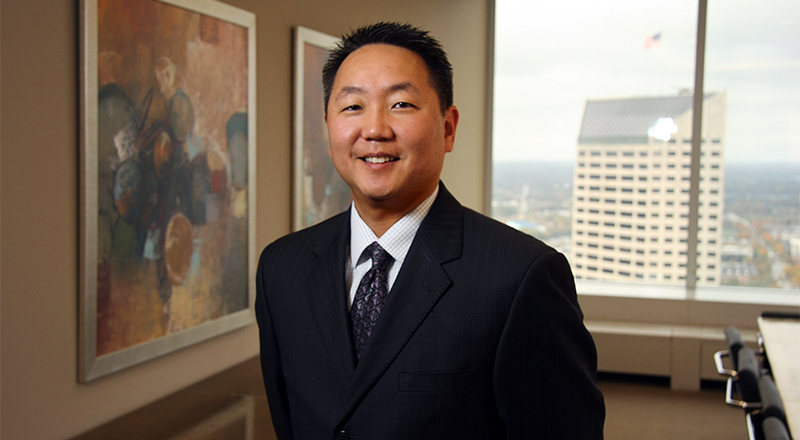 Chou-il has been active with Accelerate Indiana Municipalities (formerly Indiana Association of Cities and Towns) where he has served on the Board of Directors and as Chairperson of the Corporate Advisory Council. He is a member of the Indiana Municipal Lawyers Association, as well as to the National Association of Bond Lawyers. Chou-il also serves on the board of directors for the Community Health Network Foundation and has been involved with the Foundation’s Giving Gig Executive Leadership Committee and Auction Committee. He has presented on various municipal related topics on behalf of IACT, Aim, and IMLA including Public Safety Discipline, Municipal Fraud and Asset Misappropriation, Ordinance Procedures, Bona Fide Prospective Purchaser Status for Municipalities and the Clean Water Act. Chou-il received his undergraduate degree from Case Western Reserve University and his J.D. from the Indiana University Maurer School of Law – Bloomington.